This Saturday will be a big day for Apple Retail, with four new stores set to open across the globe. Also, two stores in New Jersey have also been renovated in time for the holidays. 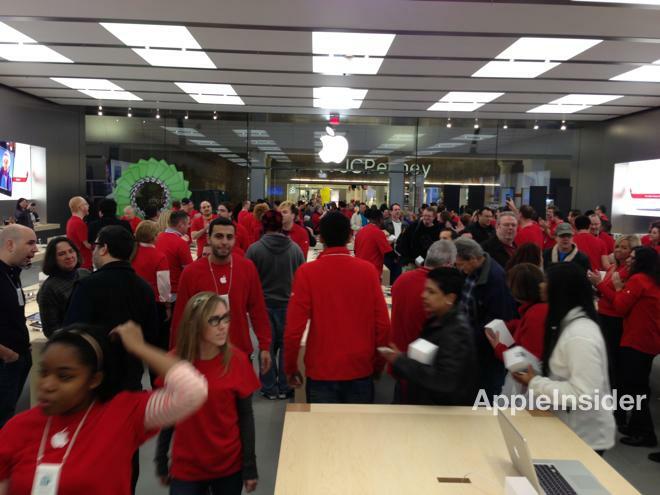 Apple's new Garden State Plaza store in New Jersey opened on Saturday. A total of four new Apple Stores will open this Saturday ahead of Christmas, according to ifoAppleStore.com: The MixC store in Chengdu, China, will open at 8 a.m.; the Fountain Gate store in Australia will open at noon; the Causeway Bay store in Hong Kong will open at 9 a.m.; and the Emporia store in Sweden will open at 10 a.m.
Perhaps the most impressive of the new locations is the Causeway Bay store in Hong Kong's Hysan Place. It features a massive glass front that has been under construction for some time, as seen in photos provided to AppleInsider in October. The Hysan Place store will be the third Apple Store to open in Hong Kong to date. This September, the company also opened a store at Kowloon's Festival Walk. A pair of Apple Stores in New Jersey have also been recently renovated and are ready to open. The state's Rockaway mini Apple Store is set to open in its new 6,000 square-foot space this Saturday at 7 a.m. 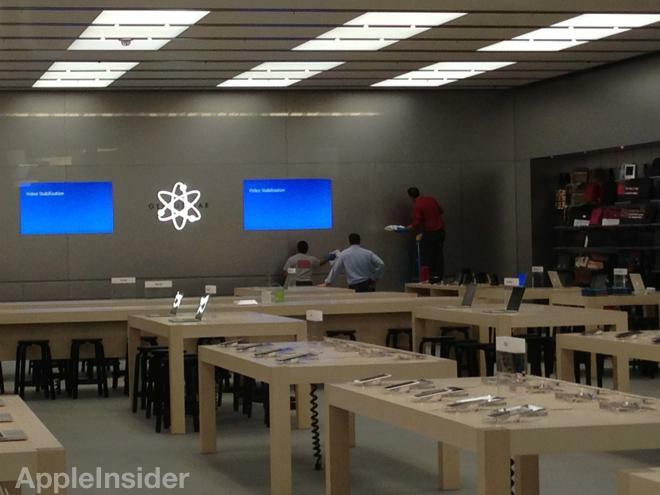 Photos of Apple's re-opened Garden State Plaza store via AppleInsider reader Ryan. AppleInsider reader Ryan was also on-hand at Apple's new Garden State Plaza store, which celebrated its grand re-opening this past Saturday. The previous store was located to the right of the new location. The new, larger store features a double-sized Genius Bar to serve more customers  a feature that has become common among Apple's newer retail locations. 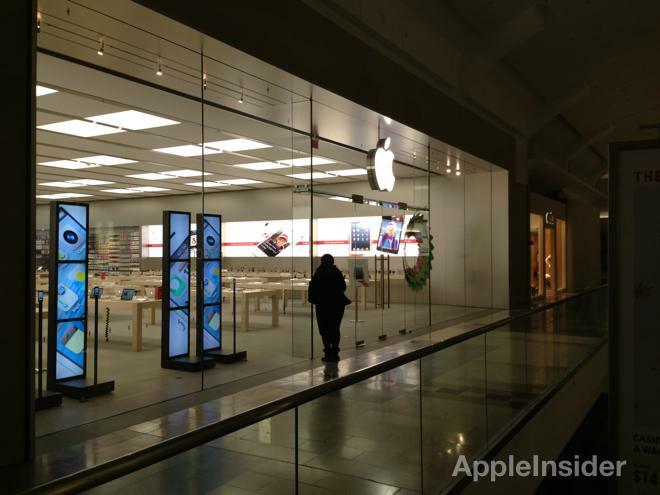 Apple opened a total of 33 new brick-and-mortar stores during is fiscal year 2012, 28 of them outside of the U>S.. The total number of worldwide Apple Stores is 390. Apple plans to open another 30 to 35 additional stores during the current fiscal 2013, which runs through September of the next calendar year. About three-quarters of the new stores will be located outside of the U.S.